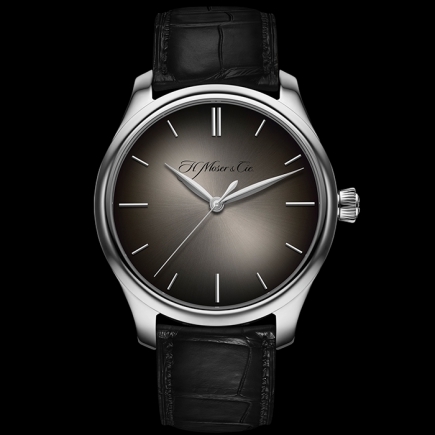 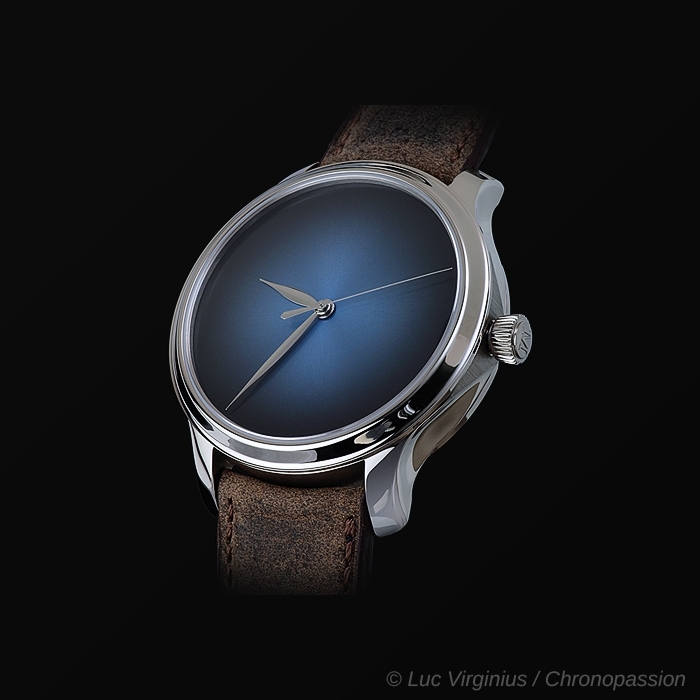 H Moser & Cie | 22'900 € Tax inc. In a brilliant demonstration of the minimalist credo "less is more", H. Moser & Cie. is bringing together a now-iconic model and dial to introduce the Endeavour Centre Seconds Concept Funky Blue in white gold and rose gold with a sky-blue fumé dial. 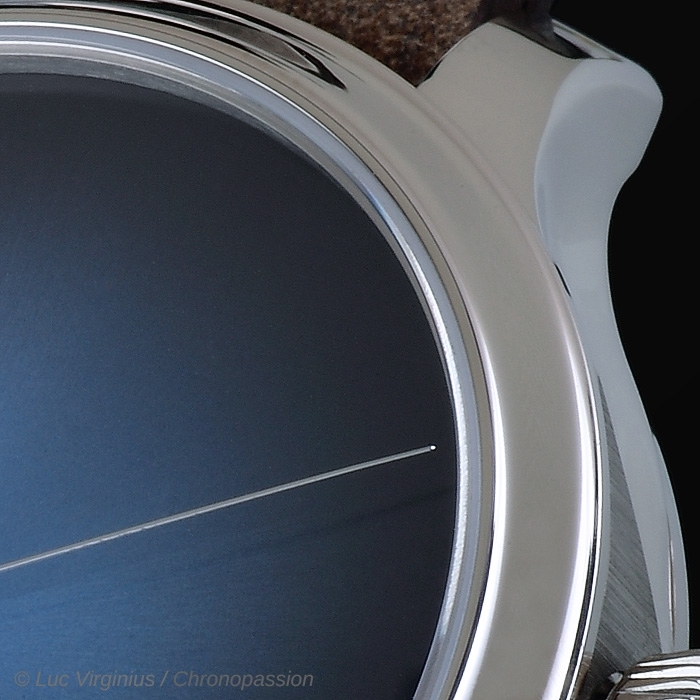 It proves once again that simplicity can be both surprisingly effective and unexpectedly powerful. 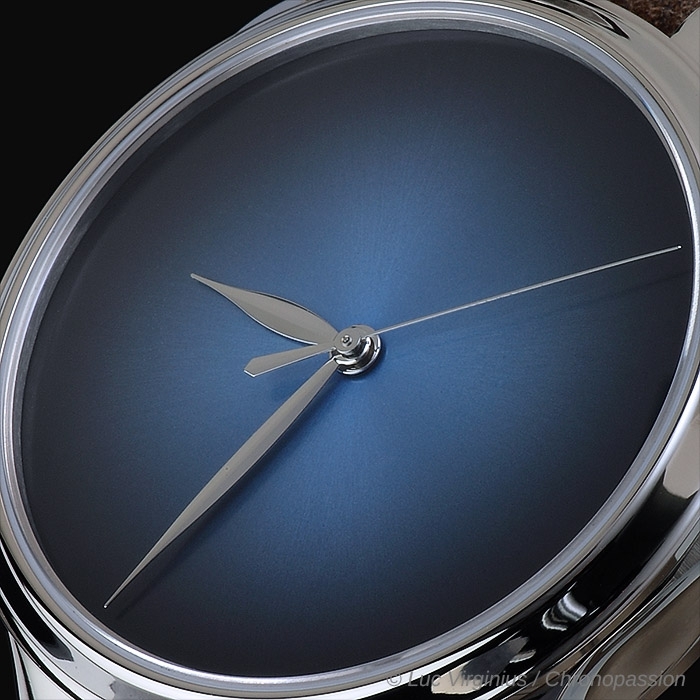 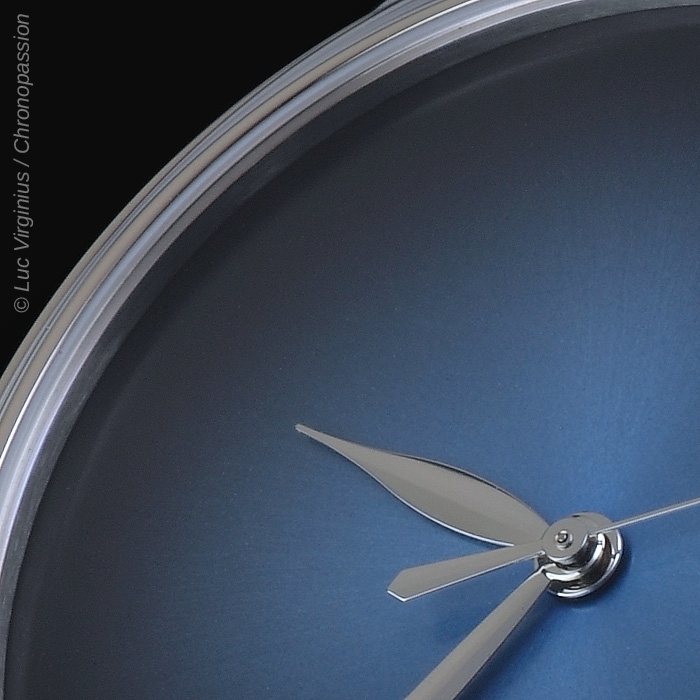 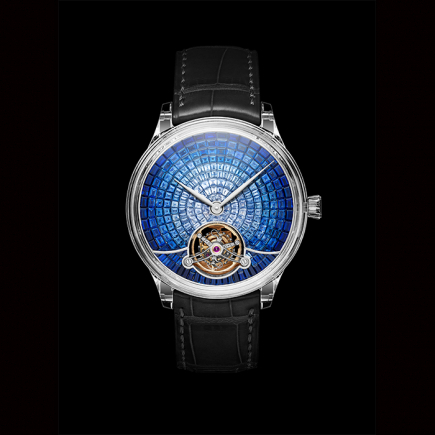 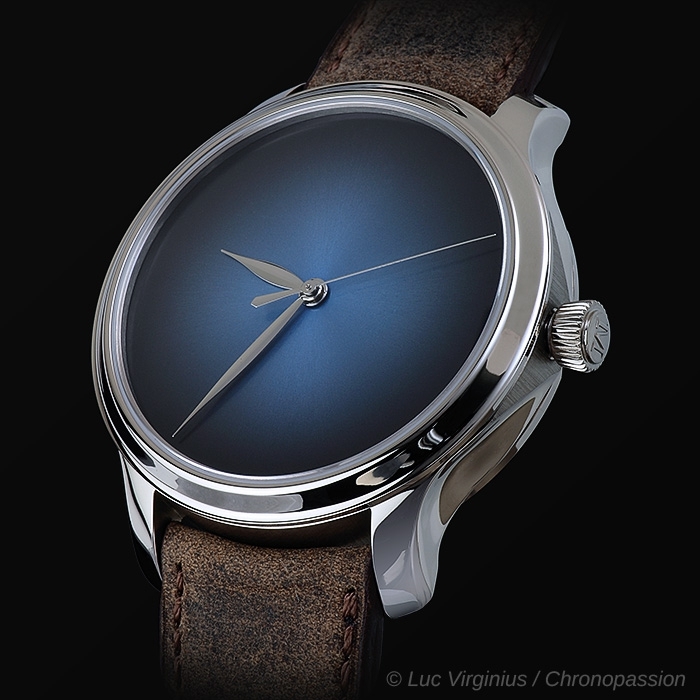 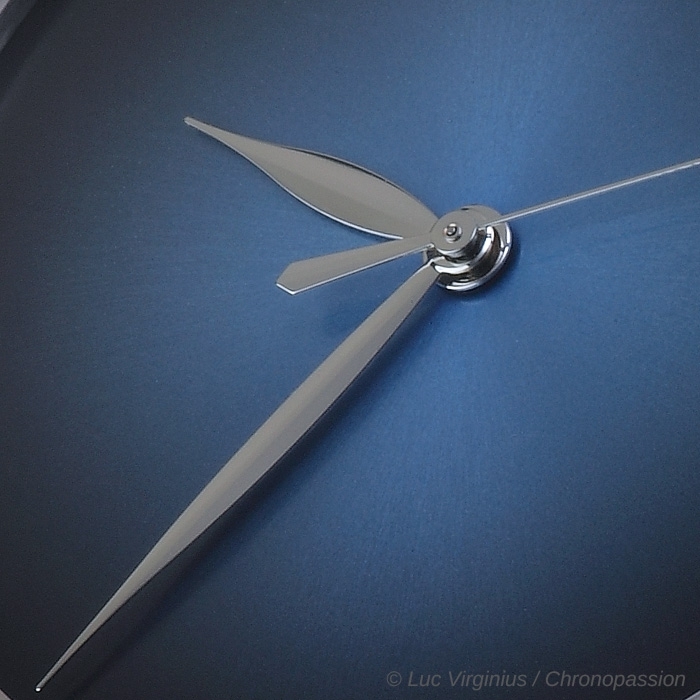 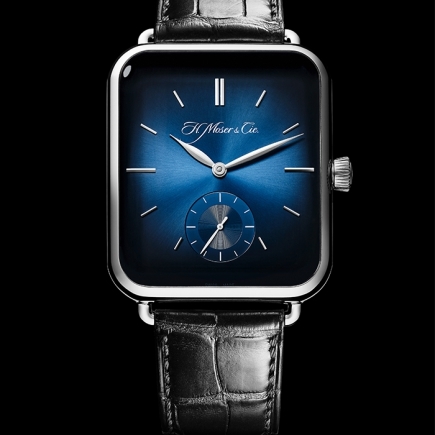 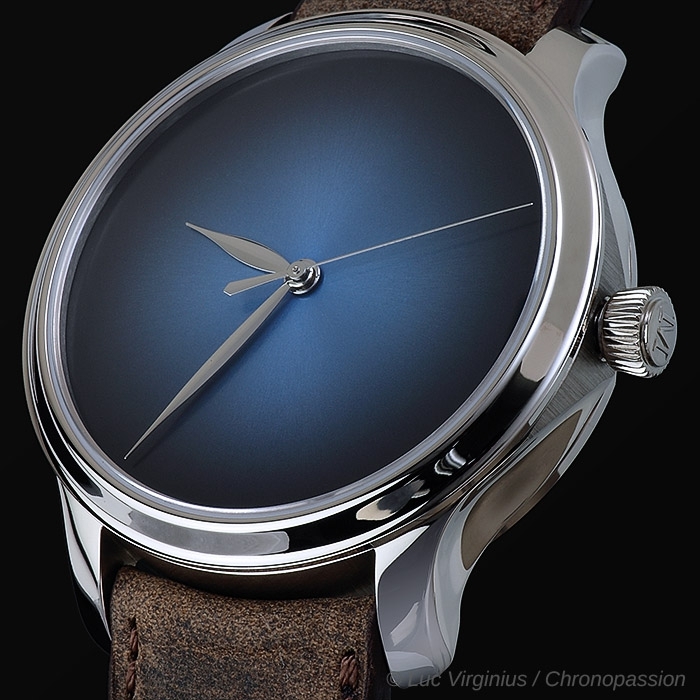 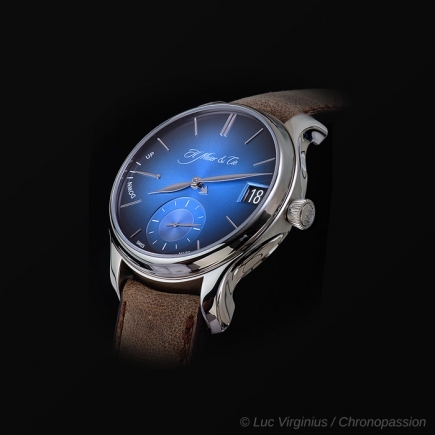 What H. Moser & Cie. presents with the Endeavour Centre Seconds Concept Funky Blue model is a return to the essential, in a model featuring a magnificent sky-blue fumé dial. 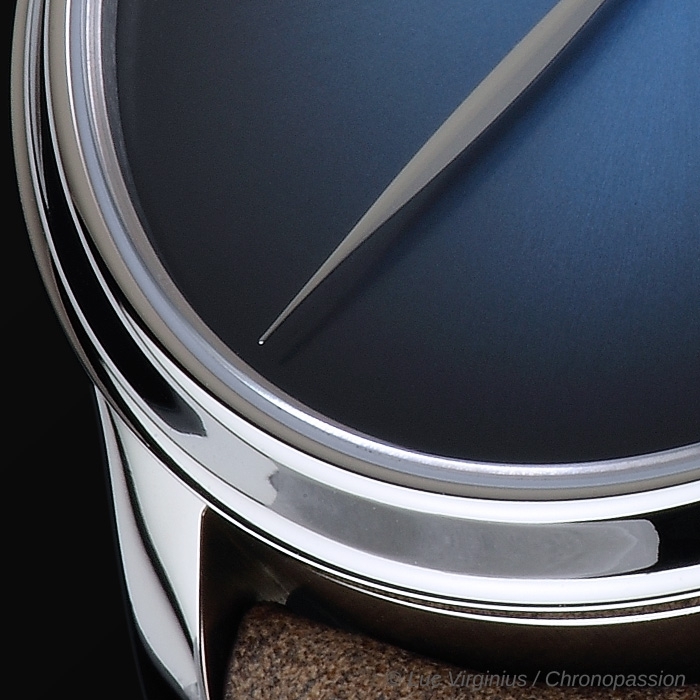 Stripped of all indices, logo and branding, this dial really comes into its own, completely free and uncluttered. 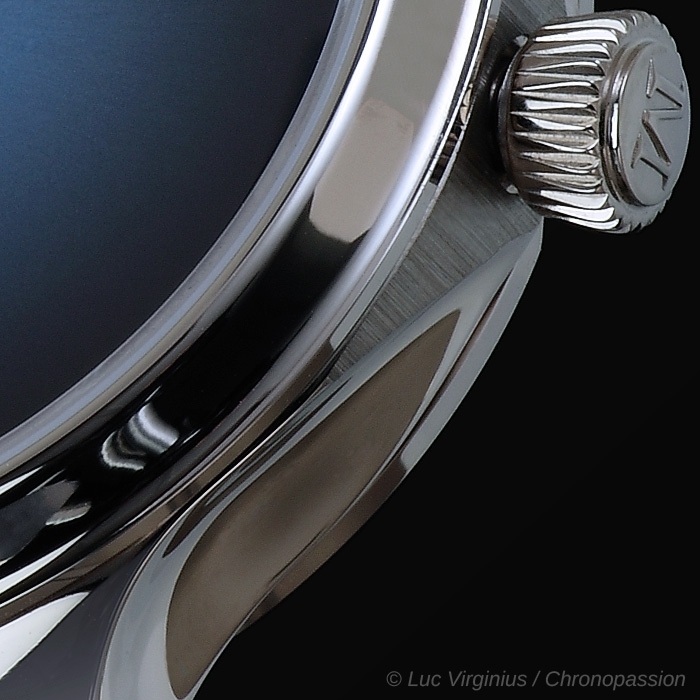 The beauty of the subtle shades of the sunburst design is enhanced by the sfumato effect, like a Renaissance painter's canvas. 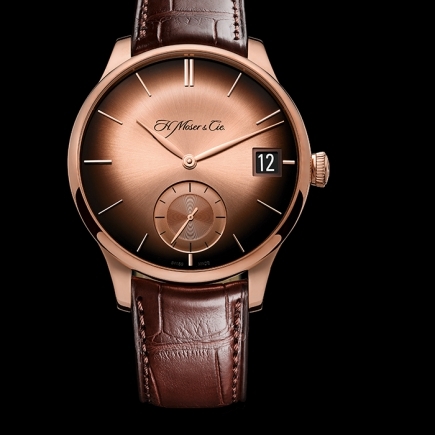 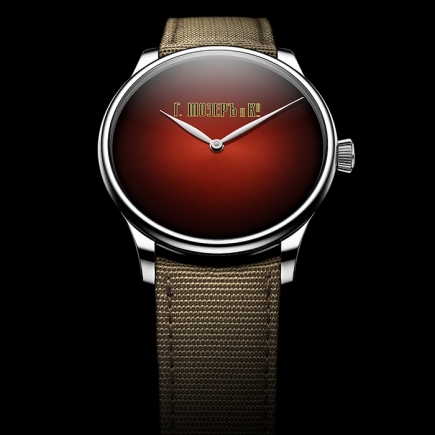 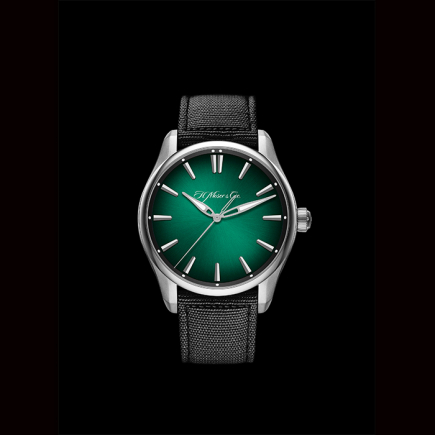 By giving the timepiece back its primary function, H. Moser & Cie. is refocusing the debate on the issue of true luxury, in answer to a discernible demand: the desire to return to basics, a desire for authenticity, for purity. 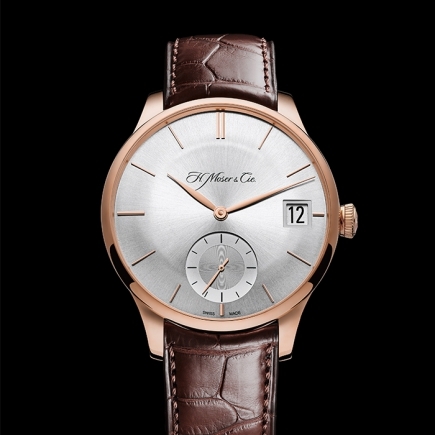 The Endeavour case is available in rose or white gold, paired with the sky-blue fumé dial. 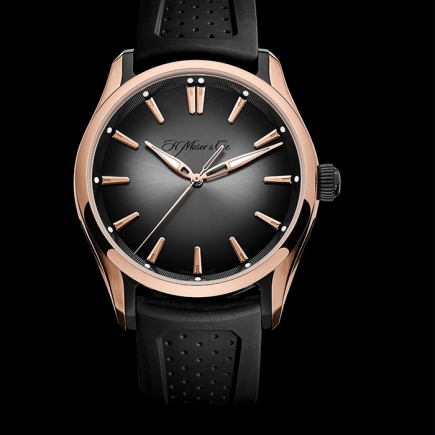 The straps which accompany this exceptional model have been chosen with the utmost care, to ensure this pared-down creation is as refined as possible, lending it a power rarely achieved. 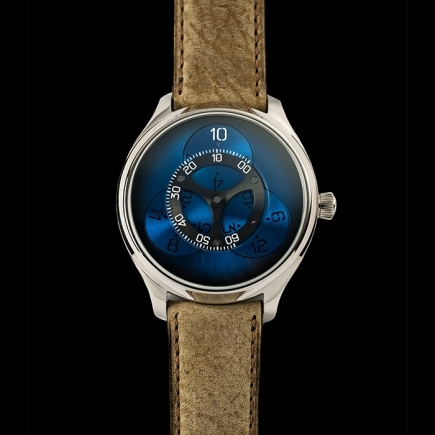 The rose gold model boasts a braided brown crocodile strap, whereas the white gold version is paired with a hand-buffed kudu leather strap.